Tuxedo Park Luxury Villa; Only 45 min from New York City! 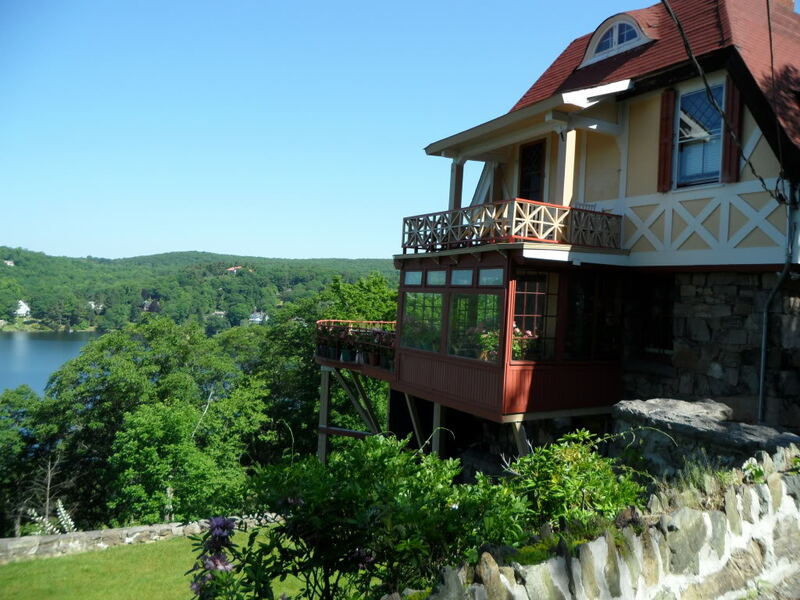 At Ary-Brynn you will inhabit the same fairy tale environs that captivated the Astors and Delanos a century earlier, overlooking the same unspoiled vistas of mountains, crags, lakes and a living arboretum. Consuelo’s marriage in l876 into the mighty English Montague Dynasty was the social apex of the season. The Duchess eschewed the common real estate options of her founding neighbors, and instead famously directed her architects: “I don’t want to be on Tuxedo Lake. In fact, I’m not at all interested in seeing the lake. I want to feel as if I’m about to tip into the Rhine. I want to be diving into Lake Como. Nothing less!” The result was a light-infused vibrant home for vibrant living. The sun follows the house round from its dawning to its unparalleled sunsets. 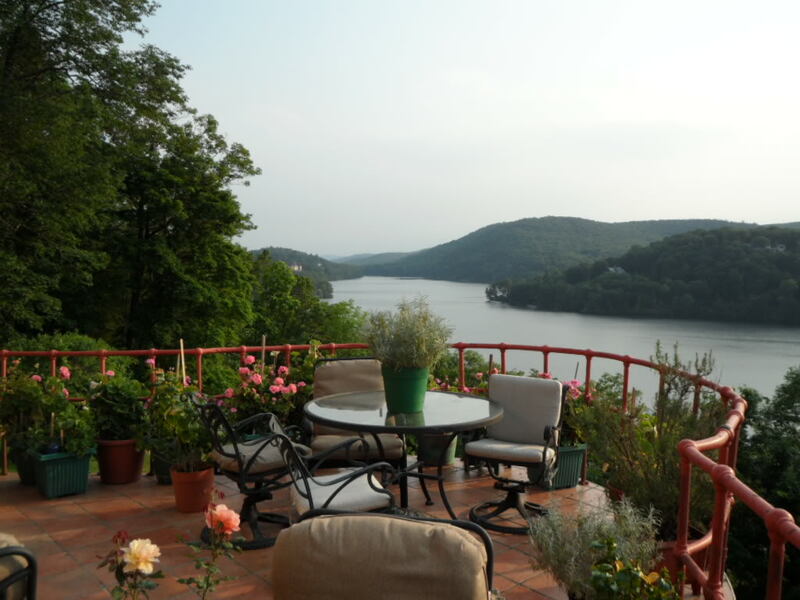 You may travel a further five hours in any direction, by land, waterway or air, but you will not find greater peace and solitude than this resplendent home — all of forty-five minutes from Manhattan. Ary-Brynn’s incomparable perch on nature’s golden doorstep remains one of society’s best rental opportunities. In addition to its magnificent exterior attractions, Ary-Brynn also boasts indoor marvels. The expansive Stanford White interior with its soaring ceilings has an elegant Feng Shui spirit about it that will draw you into a house designed above all to be enjoyed. Elegant but unpretentious, this exquisitely updated home on four levels boasts all modernized interior comforts together with the enduring charm of its period elements. When the Vanderbilts sought to baptize their new daughter, she was named Consuelo, after her godmother, the Cuban-born progenitress of our home. When Edith Wharton sought a model for her Cuban enchantress in what would prove her final novel, THE BUCCANEERS, she needed to go no further than her own friend, Consuelo. Americans knew Consuelo through its society pages and her beauty endures in John Singer Sergeant’s portrait which hangs in Harvard’s permanent collection. You may get to know Consuelo by staying in her beloved home. Some neighbors in this gated community haven’t locked their doors or turned on their security systems for years. To be on the safe side, however, the house has been armored with a vigilant security system throughout. inspiration. Tuxedo is where Edith Wharton and her favorite subjects, the Vanderbilts, Astors, Whitneys, Delanos, Pells and Goelets, convened for convivial dinner parties and weekend retreats, and where Presidents, governors and statesmen still stop by for tea. There’s a reason why New York is called the Empire State. During the last Gilded Age, Manhattan’s super moguls lavished their millions on their weekend retreats and estates. Tuxedo was the shining jewel a century ago and it is the best preserved community of that fabled generation. And, yes, the tuxedo was invented here, a daring dinner jacket that at last cut the swallow tails from men’s evening wear. The movers and shakers of Tuxedo, of course, have always been comfortable in taking the lead in American high society, and still do. Vince Scully, Yale’s architectural guru, once declared that Tuxedo’s architecture was “the most interesting of the century and was of profound importance for the development of American domestic buildings.” The fabled village, subject of many books, is home to but three hundred or so homes. Among them is the residence of Emily Post, the doyenne of American manners, a refuge where Einstein, Fermi and Bohr worked on the atomic bomb. But Tuxedo is also a place where you will see young families taking strolls and riding bikes in jeans and sweatshirts. And where the most pressing intellectual pursuit of a Sunday may be the Times crossword puzzle. Among your neighbors will be native octogenarians, filmmakers, television and movie personalities, engineers, and men and women who daily commute into the city to earn their living. Ary-Brynn, its unmatched appointments as well as its legendary community, only sounds like a dream. It is very real and awaits you in all its finery and comfort.